Winning Moves is a leading maker of board games, card games, and puzzles. Since our first year of operation in 1995, we have forged a close relationship with one of the world's largest game companies, Hasbro, Inc., owner of Parker Brothers and Milton Bradley. As a result, many long-lived Parker Brothers and Milton Bradley games are now made exclusively by Winning Moves! 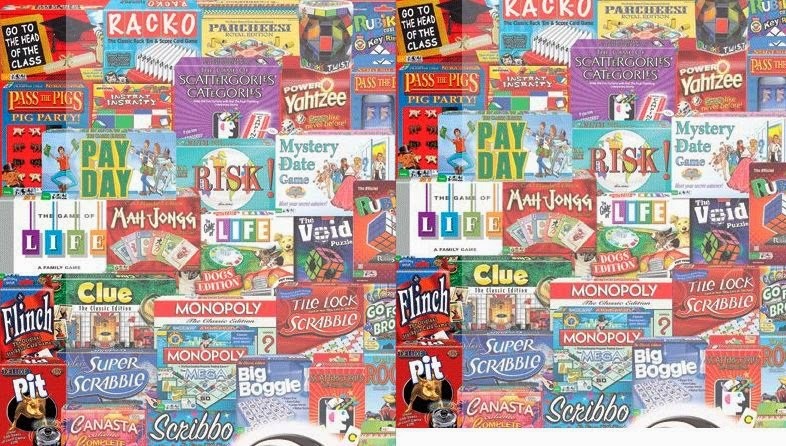 We proudly make and market best-selling titles like Pass The Pigs®, PayDay®, Rubik's® Cube, Scattergories® Categories, Rack-O®, No Stress Chess®, and hot new sellers like The Rubik's® Void Puzzle®, Super Big Boggle®, and Stop It™. Additionally, many timeless classics like Pit®, Classic Monopoly®, Classic Clue®, Parcheesi® Royal Edition, and Classic Yahtzee® are now exclusively made by Winning Moves Games. I was very fortunate to be able to check out a variety of games from Winning Moves Games including Splash cards, Touring, Aggravation and Payday! In a few weeks we'll be heading to WDW for Star Wars Weekends, that means one thing....a plane ride! I've said it before I'm not the best flier in the world so I need things to keep myself busy, add on top of that a nine year old that we need to occupy that makes flying more interesting. Thanks to Winning Moves Games our flight just got a little more occupied. Winning Moves Games doesn't just make games they make games interesting. When I say interesting I mean cards that can float in a pool interesting. I know at thirty thousand feet in the air we won't (hopefully!) need cards that float. 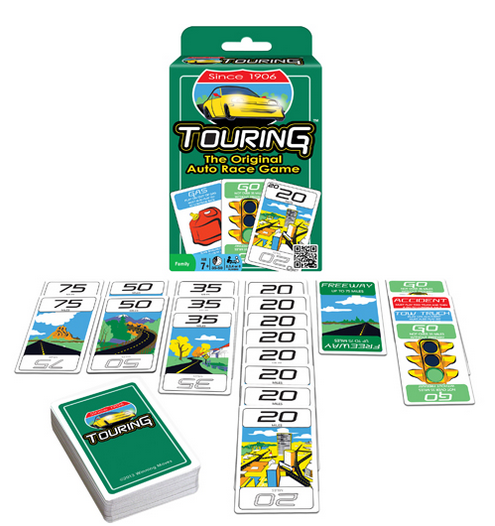 Enter Touring, Touring is a card based racing game and the object is to finish your tour before your opponents. Along the way you can throw curve balls at each other in the form of penalty cards like a flat tire or have them run out of gas. It's a simple and straightforward game that since it is card based will make it easy while cramped in the plane and will help the time fly. And the floating cards are just something you need to witness. If you're like me and don't really like tossing a ball around or doing anything other than relaxing in a pool these floating cards are just what you need. Splash Jack Royal is a straight up floating deck of cards and what's great is you don't have to worry about cheaters in a pool since no one has sleeves on! 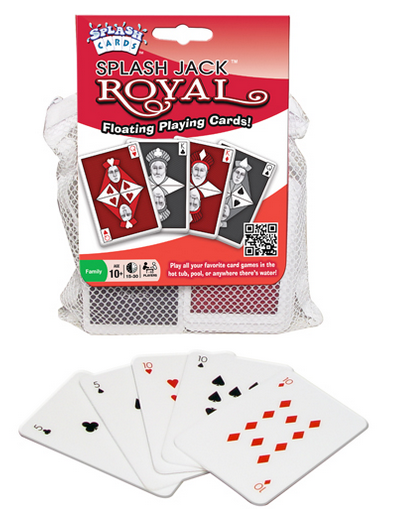 The Royal deck and the more aquatic looking Splash Jack cards are great not only because they can float but because they can stick to the tub or the pool! Think of all the games you can play with these really revolutionary cards, from solitaire to poker to sticking a few cards on the bottom of the pool and having the kids dive and look for a specific card. These are really cool and will get a ton of use this summer and beyond. Payday, is a fun game that is a classic, but oddly enough we never got to play this classic game until now. Who doesn't love getting paid? 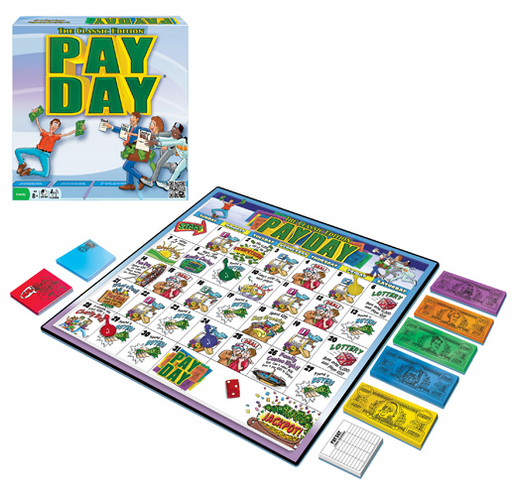 Well get paid, and win with this fun game. My daughter is really getting into board games, and now that she is 9 years old she has outgrown the kiddy games, and is loving the fun family games. We had a blast playing this game on our last family game night. And lastly a game that is near and dear to me Aggravation. Aggravation is basically Chinese Checkers, a game I've loved since I was a little girl and a game my whole family would play while on vacation. It's a race around the board with marbles with some fun twists and turns along the way and not to brag but I was such a good teacher that I taught my then boyfriend (now husband) how to play one summer in Ocean City and within minutes he was playing so well he proceeded to beat everyone with ease including me....and would go on to gloat and brag and rub it in our faces and now I'm wondering why I agreed to marry him! With summer soon upon us and kids looking for things to do to help keep busy shoot on over to Winning Moves' site and see what they have to offer, I guarantee you that you and your kids won't be bored! 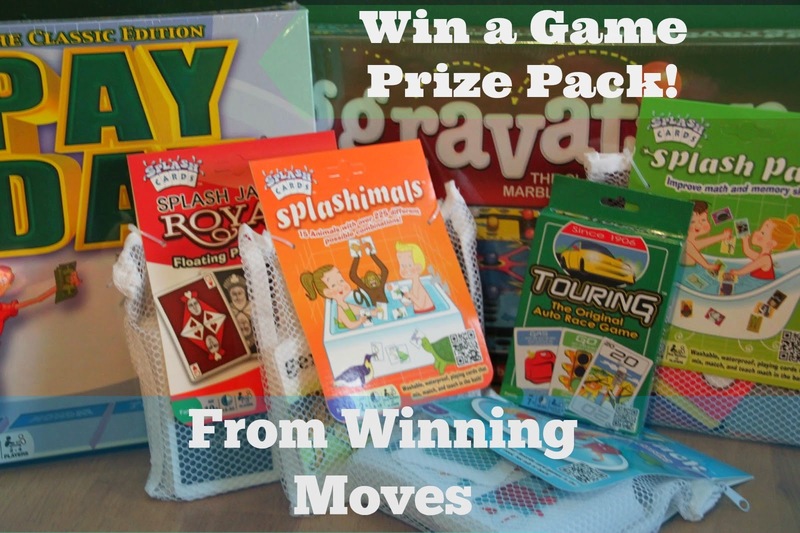 The generous folks at Winning Moves are giving one of Susan’s Disney Family readers a chance to win Splash cards, Touring, Aggravation and Payday from Winning Moves! Would you like to win? Please visit the Winning Moves Games site, take a look around then come back here and tell me something you would love to get from the site. There are also other ways to enter, please enter below. Disclosure: The reviews and or opinions on this blog are my own opinions . I received games to review. No monitory compensation was received. I was not required to write a positive review. Your experience may differ. The opinions I have expressed are my own I am disclosing this in accordance with the Federal Trade Commissions 16 CFR Part 255: Guides Concerning the Use of Endorsement and Testimonials in Advertising . Pay Day and Aggravation! Thanks. Would love to play the Uncle Wiggly game. I've read some of the books. I would love to play Pass The Pigs Pig Party game. We like Payday, Risk, and Aggravation. I like Yahtzee, Big Boggle, and Trouble. I like boggle and scattergories. Aggravation is one of my all time favorite games. 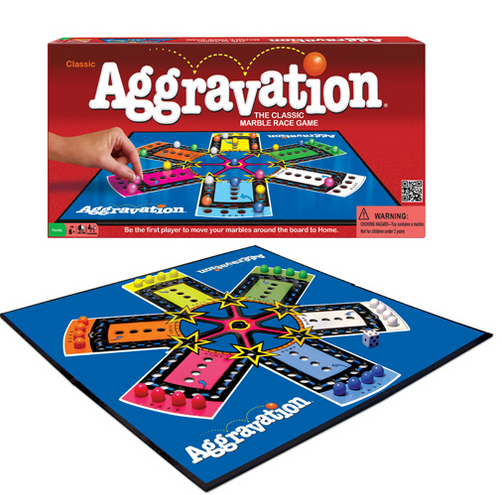 i really like the aggravation game!! 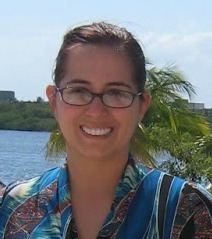 I'd like practically anything from the site! My family loves playing board games. I would love Jenga! I would use it with my students. I would like Big boggle. We have Jenga, but I also love Life and Boggle. Our family loves to play games. My favorite is Yahtzee. The family loves to play Life. Thank you for having this fun give away. we enjoy playing the game "life"
I'd love Clue Classic Edition. I remember loving it as a kid! We love Monopoly and Aggravation.